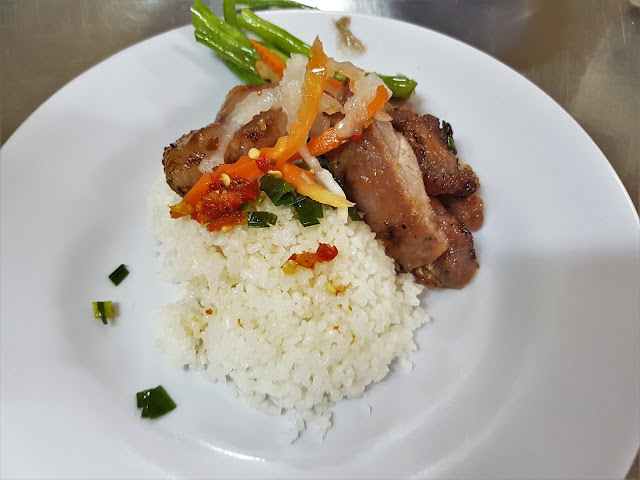 I spent a wonderful two weeks in Vietnam in December, and as always I learned as much as I could and very much enjoyed the delights of the local cuisine. Vietnamese pride their food on being fresh, healthy and bursting with flavour. I am in no way an expert just from my short stay there, but I have some great recommendations for gems that I did find. 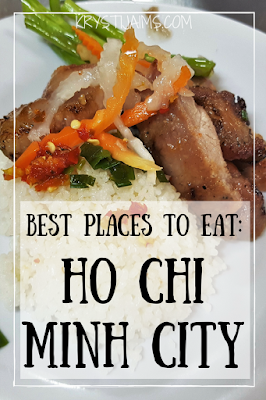 Here in part one of this mini food series, I share specific places for where to eat in Ho Chi Minh City and include a selection of my favourite Vietnamese food that are absolute must-tries. 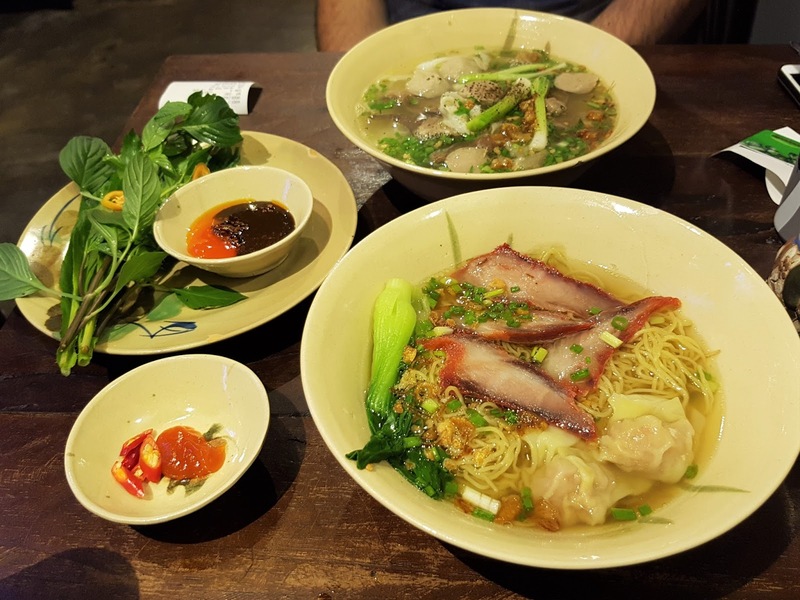 Part Two will share more dishes and recommendations for Hanoi. 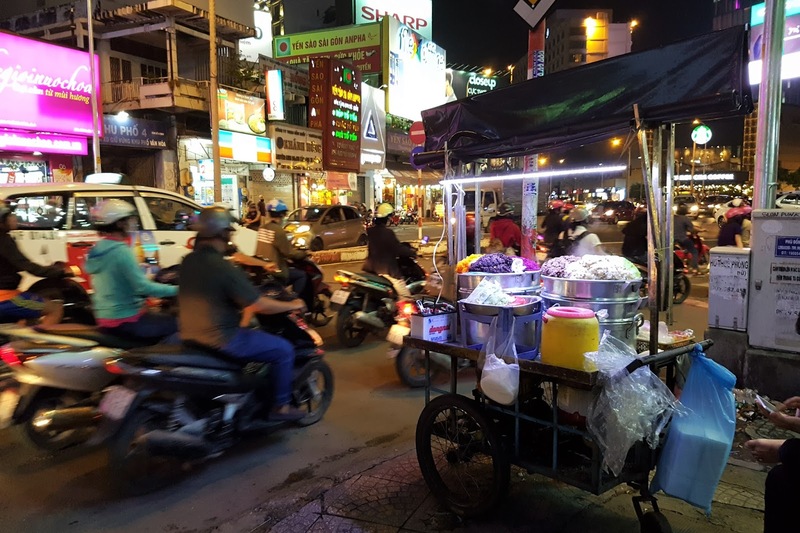 I'll start by highly recommending an excellent street food tour my husband and I did on our first night: Saigon Street Eats. 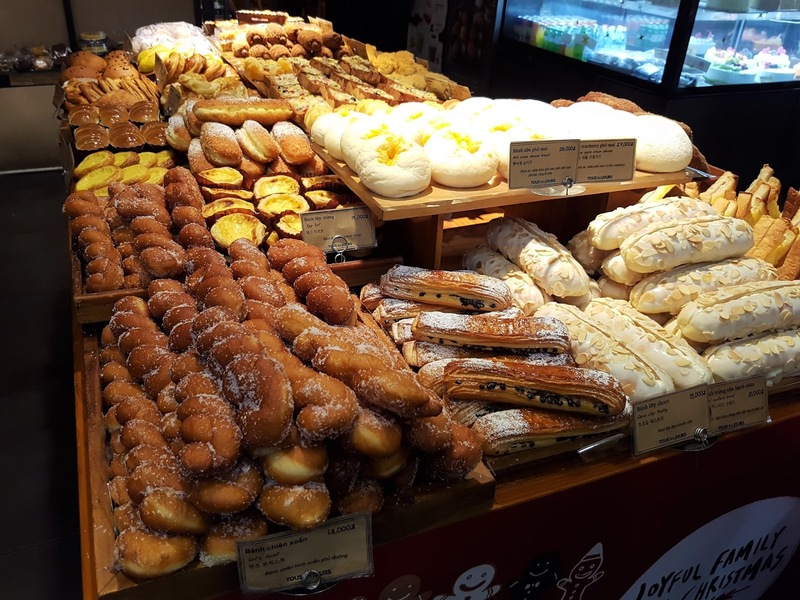 We discovered it from its excellent reviews on Trip Advisor as we love to do food tours when we first arrive in a new place, to scope out and be introduced to the very best food the city has to offer! We did the Street Food 101 tour, and they also have a Pho Trail and a Seafood Trail if that tickles your fancy. We were picked up by friendly guides from our hotel on the back of motorbikes and joined a small group in the well-known food area District 3. The entire evening was jam-packed with so many delicious dishes - we were so full after over three hours of nonstop eating. 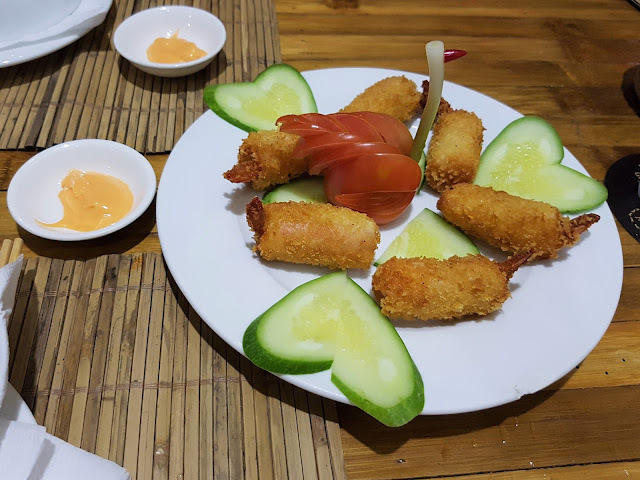 We started with Banh Xeo (Vietnamese pancakes) which was one of my absolute favourites. 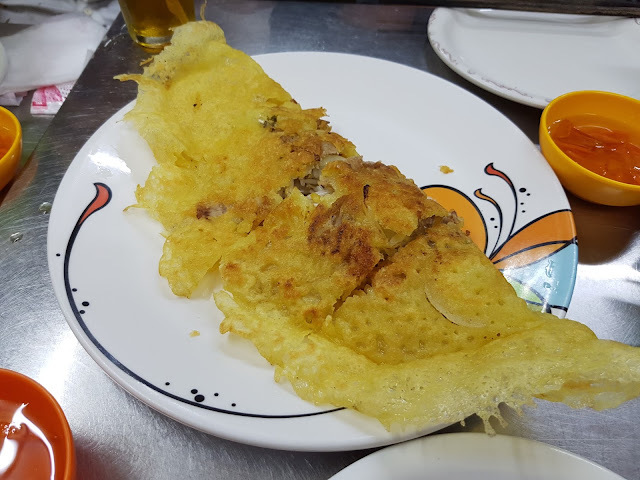 These enormous, cheap and filling savoury pancakes are filled with shrimp, pork, bean sprouts and egg, which is fried and wrapped in rice paper. You are also given a plate of fresh greens which you wrap a piece in and then dunk into a spicy sauce. It's so fresh and the flavours are amazing. Next up we tried Com Tam (broken rice), which is a street-stand favourite. Recipes vary, but you can often find it served with barbecued pork or beef and a fried egg. It was the most delicious rice I've ever tried and the succulent meat accompanying it was divine. Also on the street food tour, we tried frog legs (tasted like chicken), barbecued duck, hot pots and a selection of Vietnamese desserts. 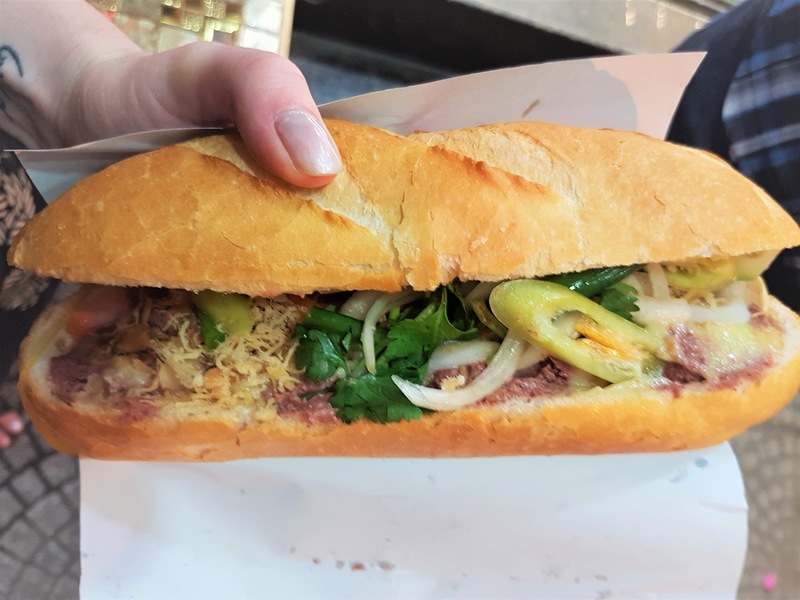 Everything was fantastic and we picked up some great information such as where to get the best Banh Mi in the city (shared below!). 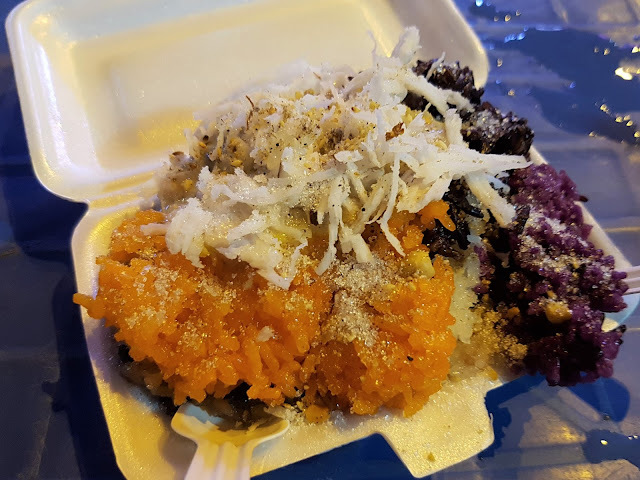 At $45 USD per person, it is of course, pricier than you could find eating on the streets yourself, but you are paying for a local-guided tour, awesome food, drinks at every stop, transportation and you get a wonderful insight into the local food - it's really worth it. This delectable baguette sandwich is packed with a choice of fillings including paté and greens and it's so good it has been imitated all over the world. The perfect Banh Mi should have slightly warmed and crunchy bread, and fresh and flavourful fillings. 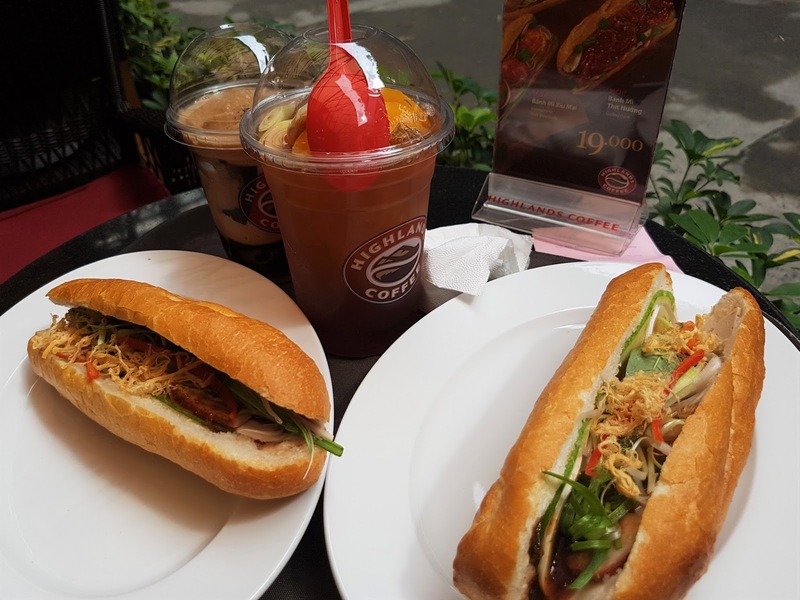 As mentioned we were recommended this place by our food tour guide and I am not kidding you - I tried a lot of Banh Mi over our two weeks in Vietnam and Banh Mi Huyn Hoa was the king of the kings. We knew it would be good even before we tried it, as there was a long line of locals waiting outside. For 33K VND (less than $2 AUD) it was the best dang sandwich period! Vietnam’s national dish and the country’s great staple is Pho (pronounced “fur”). 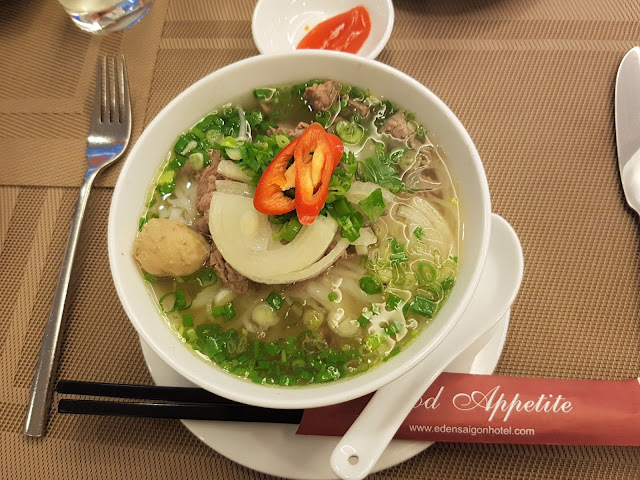 A light and flavourful noodle soup, it is eaten at any time of the day, but most commonly at breakfast. A basic bowl of Pho consists of a light beef or chicken broth flavoured with ginger and coriander, with flat rice noodles, spring onions and slivers of chicken, pork or beef. I ate Pho for breakfast every morning as it was served at all of the hotels we were staying at, so I didn't actively search for a 'best place' to eat it. 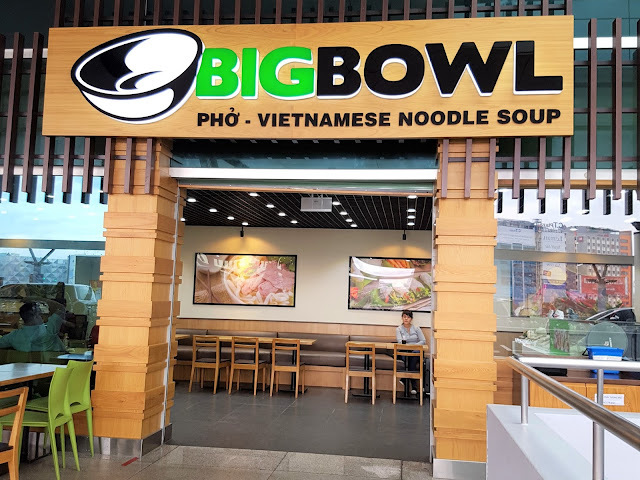 For the times that I did have it outside of the hotel, I went to Big Bowl, a popular Pho chain. You can customise your soup exactly how you like and it's very reasonably priced. Even at an airport, I had a Pho, a bottle of water and a coke all for 100K VND ($5 AUD). Every single bowl I had no matter where it was from was delicious - so I'm pretty sure you won't go wrong wherever you go! An absolute must if you can - go to Cyclo Resto for their incredible five-course set menu. It is honestly one of the best foodie experiences I've ever had in my life. We again found it by their excellent Trip Advisor reviews and it was conveniently only a ten-minute walk away from where we were staying. 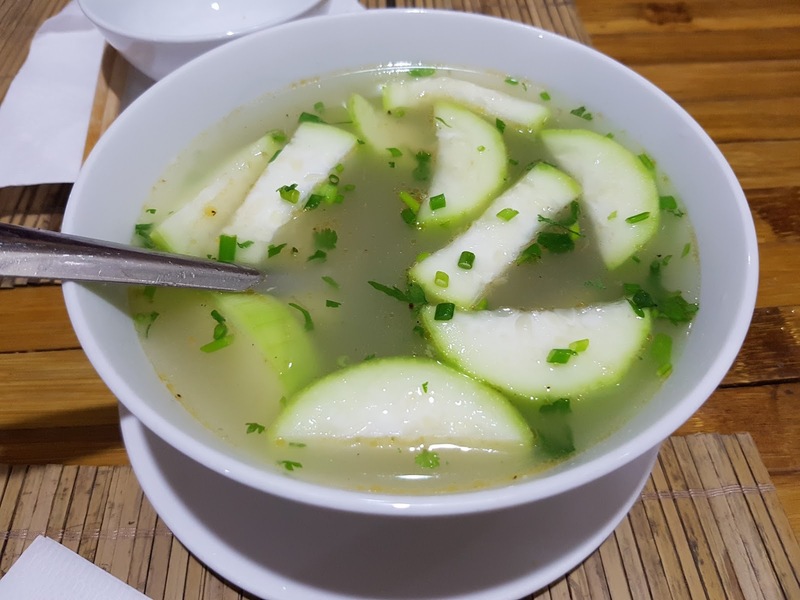 The restaurant aims to give you a real experience of a Vietnamese family meal. The service was perfect, each of the five courses were like they were sent from heaven and the price for all of it was gob-smacking. It cost us a grand total of $16 AUD for two people including a beer and water each... needless to say we gave them a very good tip at the end because we could not believe we just had one of the best meals of our lives for so little. Course #1: Prawn crispy spring rolls which had the most impressive presentation! Course #2: A clear green melon soup with shrimp which was incredibly hydrating, it was like drinking an elixir of life. 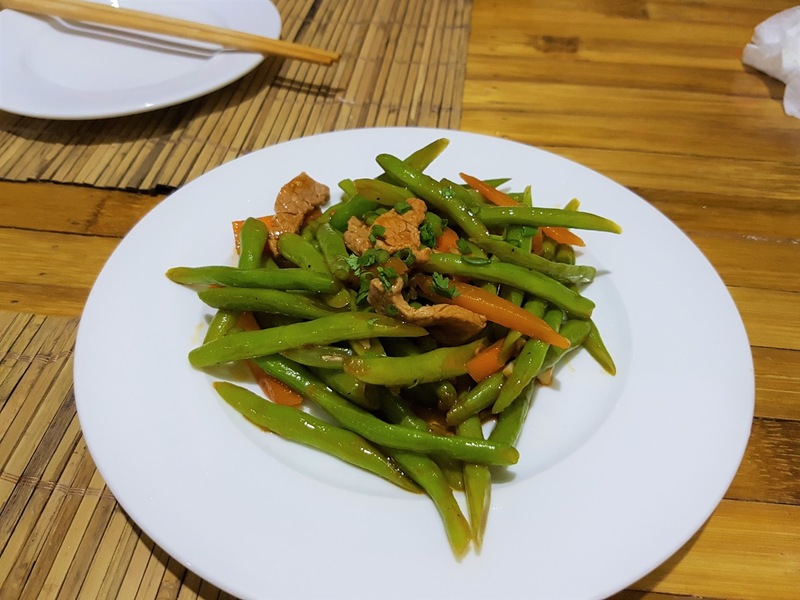 Course #3: Stir fried green beans and pork with a black bean flavour. They were perfectly sauteed and crunchy. 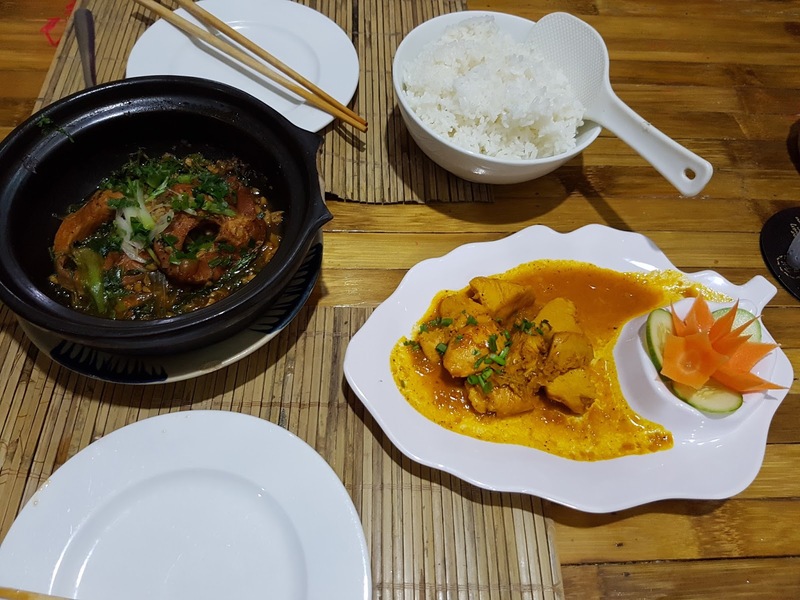 Courses #4 and #5 came out together as the mains - a delicious fish clay pot and a fragrant lemongrass chicken curry, served with steamed rice. 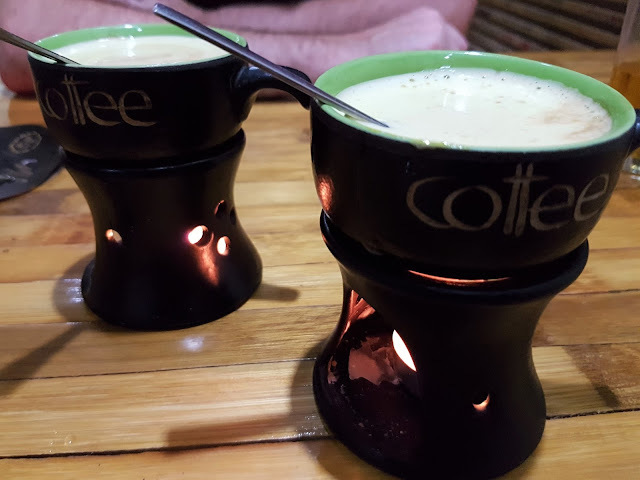 As a surprise at the end, we were presented with an Egg Coffee which I had heard so much about but knew it was a speciality in Hanoi. I was very excited to try it and it exceeded my expectations - it tasted like a liquid tiramisu! It was the perfect way to finish the most delightful evening. Cyclo Resto gets an 11/10 from me, even if it's not close to where you are staying I would go out of your way for this one! They also do cooking classes which I would have loved to do if I had the time. There were two great spots we found that I would recommend for lunch. The first being a popular food court Cocochin. They have a variety of Asian food stalls where you can choose from literally a hundred dishes, so there's something for everyone. 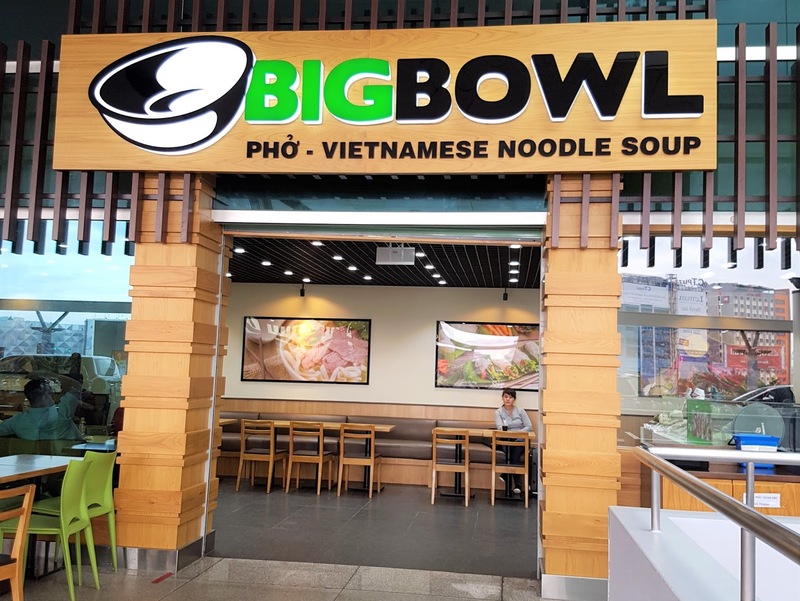 The food court is in a central location (not far from the statue of Ho Chi Minh), it is clean and very well priced. I ordered a BBQ pork wonton soup and it was the perfect lunch. The price of both of our dishes and a drink each cost 55,000K VND ($3 AUD!). 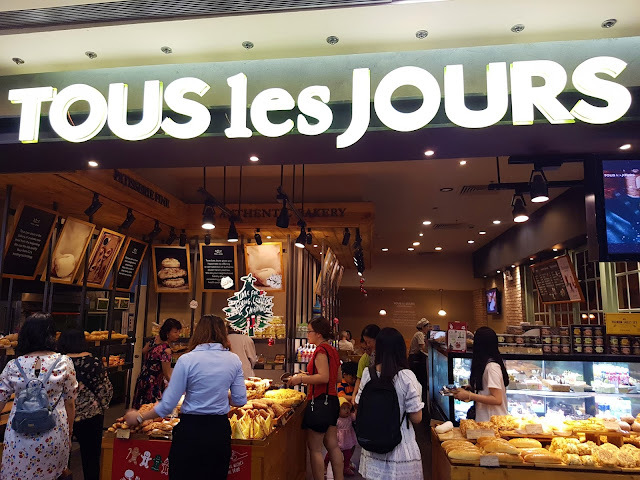 The second top spot for lunch (or even a snack) is a delightful French bakery Tous les Joures. They can be found all over the city and have amazing fresh pastries, sandwiches and coffee. The store we frequented was located inside the shopping mall Vincom Center (also close to Ho Chi Minh's statue). Vietnamese love their coffee and you can find a coffee shop on practically every corner. 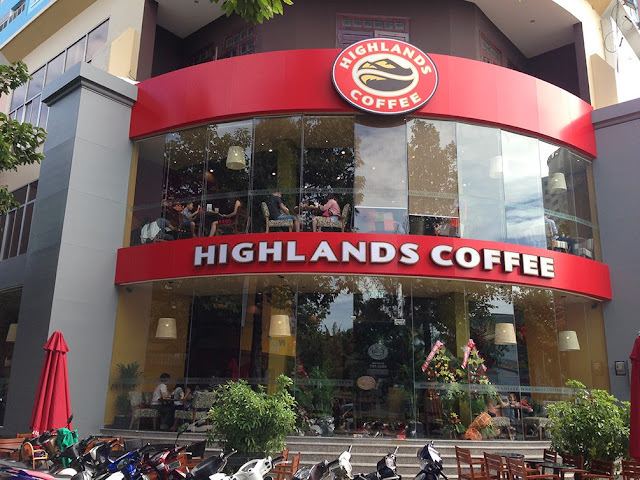 I had a decent coffee practically everywhere I went, but one place I kept going back to was the giant chain Highlands. They make great coffee, both hot and cold, have free wifi, serve food and refreshing fruity beverages which are perfect to beat the heat. Last but not least, I thought I should mention a dessert. To be fair, we didn't try many as we were usually too full, but we did try some amazing sweet dessert rice. You can find it all over the city in street carts and there is a selection of different types and flavours. We got a mixture of everything to share and really enjoyed it. A bunch of salt was added on top which made it almost taste like popcorn - so yum! 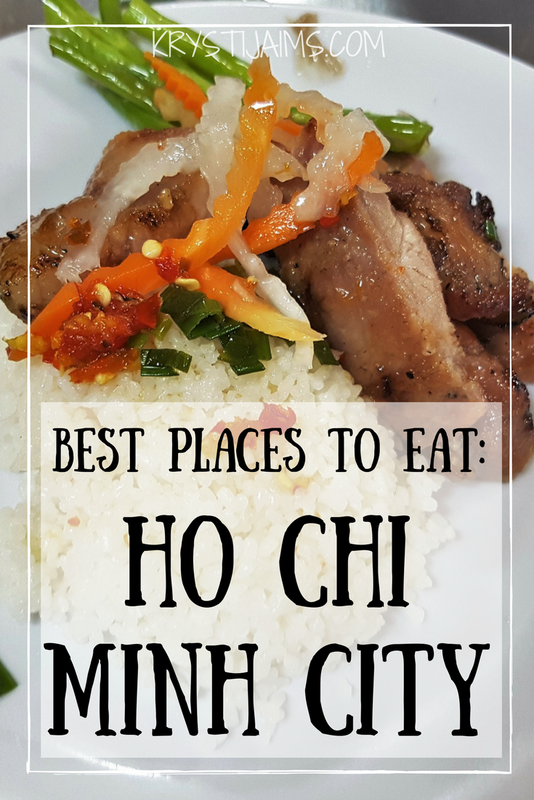 There we have my top recommended places to eat some very delicious Vietnamese food in Ho Chi Minh City. Stay tuned for my next food post for Hanoi coming early next week. Do you have any other places you would add to this list? Let me know in the comments - I'd love to read them. Oh yum, all the food photographed looks amazing! I'd enjoy eating there. I'm so excited to try Pho. Thanks for the advice on how to pronounce it! I love soup and can eat it anytime. okay so... trying street food in a foreign city in on my bucket list!! This looks so YUM. I wanna go!!! I really want to try these delightful meals! Those crispy prawn ones look SO SO good! My mouth is watering! this is so cute, to see places like this to try some good meal and more so be affordable from the looks is so so amazing. a must visit for all. Oh the food in Saigon, your post makes me miss it so much! 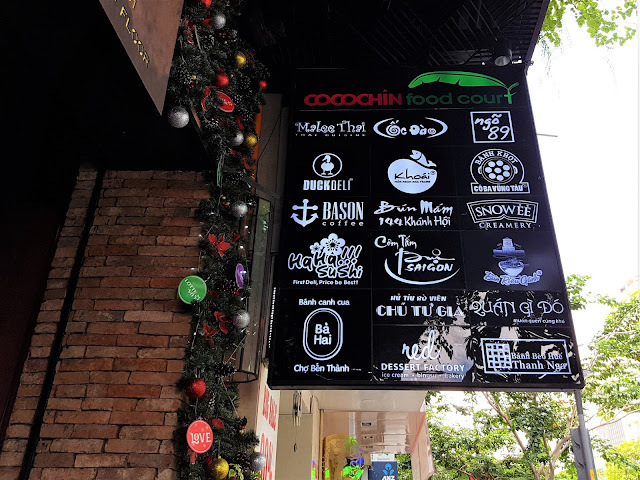 Next time you are there try Pho from non chain places (seriously a thousand times better, one we loved was from Pho Phu Vuong) and get a brew from Pasteur Street Brewing Company, their chocolate stout is to die for.